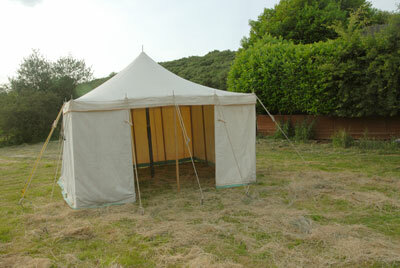 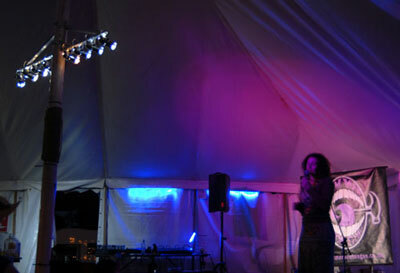 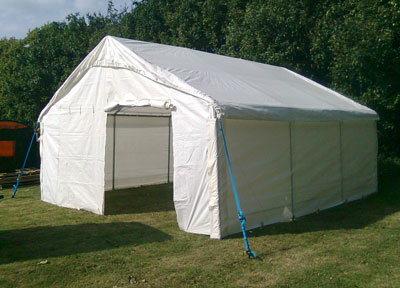 Black Bear Events has a small, yet constantly expanding hire stock of marquees and tentage. 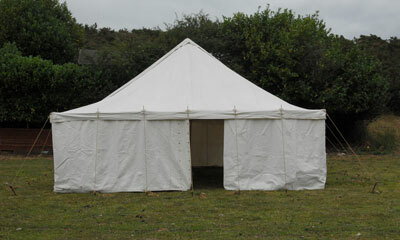 Our tents range from traditional style marquees to modern aluminium framed tents. 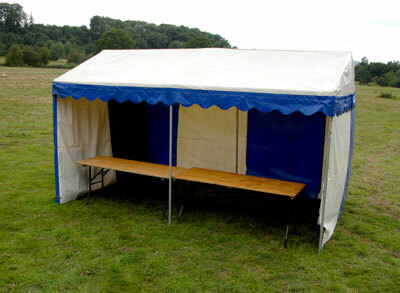 Our range of accessories includes such diverse items as rustic oak tables and solar powered lighting as well as everyday furniture, mains power distribution and catering equipment. 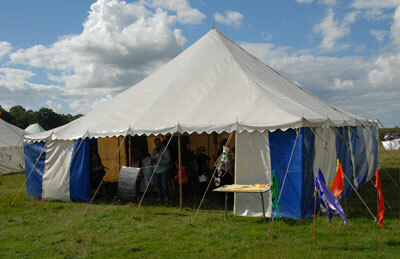 Hire rates are competitive with discounts for charities and non-profit groups. 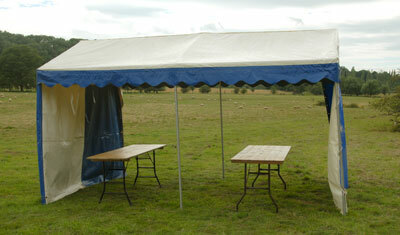 Scroll down for an idea of our hire stock and contact us for prices and availability. 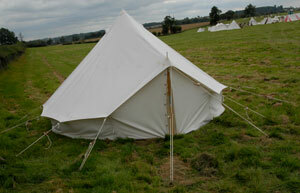 13' Safari style Bell Tent, white canvas.